On Sunday 14 August 2011 Presbyterian church-goers gave more than $70,000 – 365 $200 New World Supermarket vouchers – to homes in part of the red zone on the east side of Christchurch. 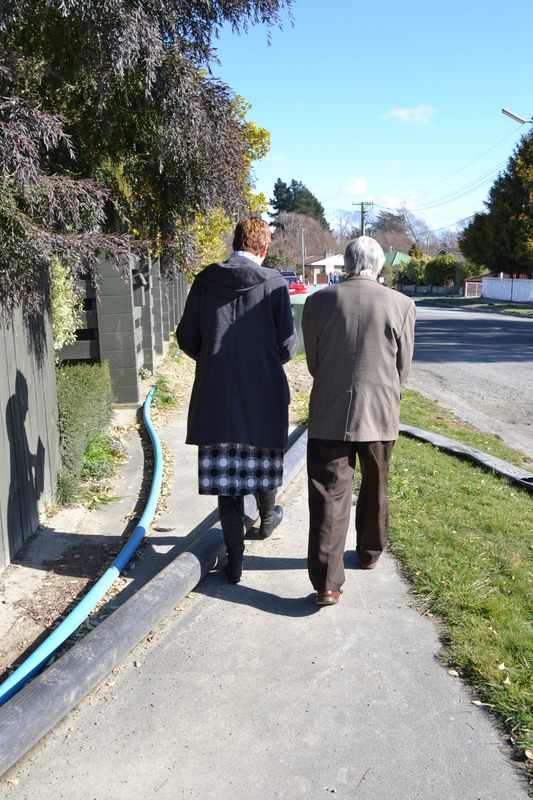 After their regular Sunday church service, 130 people from St Stephen’s Presbyterian in Bryndwr, St Giles in Papanui and St Mark’s in Avonhead, went door-to-door to share the vouchers with people whose resources have been stretched more thinly than their own. Martin says that “going over to that side of the city was sobering. There were many sad stories of struggle and wondering what is next. Without exception those who handed out the vouchers were touched by the welcomes they received”. The Rev Martin Stewart, the driving force behind the project and minister of St Stephen’s and moderator of the Presbyterian Church’s Presbytery of Christchurch, says, “$70,000 was raised, some donated by people from here but most from far off places like Scotland … and Auckland! Foodstuffs offered a discount enabling us to purchase even more vouchers”. The idea for the vouchers came in April, Martin says, when Highgate Presbyterian Church in Dunedin, (Martin was formerly the minister there) gave him and his wife Anne money to distribute in Christchurch “as we saw fit. The next day we gave the first $1000 of that money to a young family we did not know, and that we had heard life was tough for, in the damaged Avon loop area. I wrote about it on my blog and then someone from Wellington sent $15,000 – it soon ballooned to $70,000. It has been like witnessing the miracle of the loaves and the fishes right before our eyes”. Giving to someone you know can intensify feelings of connection and appreciation of that person. And giving to someone you don’t know expresses your awareness that other human lives matter and that the extent to which they matter is not determined only by their proximity or usefulness to you, or your intimacy with them. This is an awesome testimony of God’s grace in Christ at work in this broken world! One of the interesting things about this wonderful story is that the $15,000 mentioned came out of an early response to the Christchurch earthquake with 600 ‘care boxes’ being taken to Christchurch from Wellington Presbyterian/Union churches which were then distributed to households there by local ministers/churches. A lot of money was given to help fund the inspiring idea of the ‘care boxes’ and it was the surplus $15000 that was donated towards the ‘supermarket vouchers’ idea. It’s all rather awesome!